King Edward VIII was forced to abdicate in 1936, and soon took the title of the Duke of Windsor. He has always been known for his pro-Nazi sympathies. However, the extent of his betrayal could never be fully verified due to the secrecy of the Royal Archives. The Royal Archives have always ensured that letters from German relatives of the royal family in the run up to World War II remain closed. Naturally, such censorship has led to endless conspiracy theories. But over the past eight years I have accumulated damning evidence by sifting through 30 archives all over the world that are open. Intelligence reports and German, Spanish and Russian documents show members of the British royal family were indeed far closer to Nazi Germany than has previously been recognised. I present this in full in my new book Go-Betweens for Hitler. One key to this Anglo-German network is Charles Edward Duke of Coburg (1884-1954). In a Channel 4 programme on him in 2007, I called Coburg “a Nazi who got away with it”, but I had no idea about the magnitude of his crimes at the time. Coburg was part of a wider group of go-betweens – private individuals who were used for secret negotiations by Hitler. My investigation into Coburg’s work sheds new and damning light on the Duke of Windsor, a relative and confidante of Coburg. Coburg was a grandchild of Queen Victoria destined for a privileged and unspectacular life. But the experiences of World War I changed him. After Germany lost the war, he turned to the radical right. In the 1920s he got involved with a German terrorist group that tried to overthrow the democratically elected German Republic. Members of the group were involved in several political murders in the 1920s. Though he did not pull the trigger himself, Coburg funded these murders. After the failed Hitler Putsch of 1923, Coburg hid several Hitler supporters on the run in his castles. Hitler would not forget this great favour and later rewarded Coburg by making him a general. But he also needed him for something more secretive. In 1933 the Führer was short of international contacts and did not trust his own foreign ministry. He therefore used members of the German aristocracy for secret missions to Britain, Italy, Hungary and Sweden. Coburg was particularly useful in London from 1935 to 1939 and was received in Britain due to his sister Alice Countess of Athlone’s tireless work. She was Queen Mary’s sister-in-law and fought for Coburg’s acceptance. This resulted in him not just being welcomed in British drawing rooms, but most importantly, by the royals, including the Duke of Windsor. Coburg was first invited in January 1932 to Sandringham to see George V and Queen Mary during their Christmas break. Despite the war, Queen Mary had renewed contacts with her German relatives as early as 1918. This occasion and subsequent visits were not listed in the Court Circular, as they normally would have been. The Duke of Windsor in 1945. 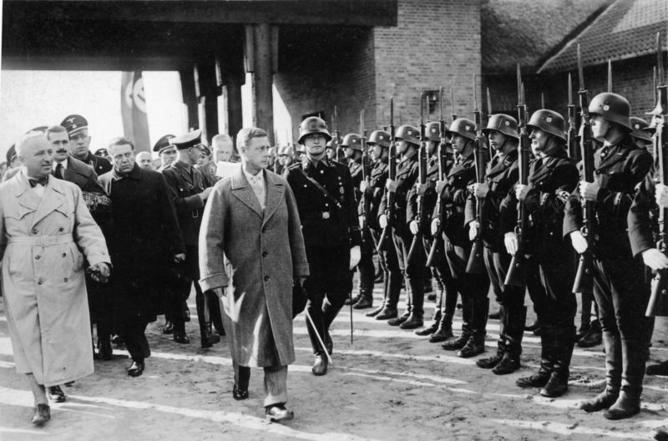 It was only by turning to intelligence reports and foreign archives that I was able to piece together that the Duke of Coburg and the Duke of Windsor dreamt of an Anglo-German alliance. Windsor helped Coburg towards this goal on several different occasions. 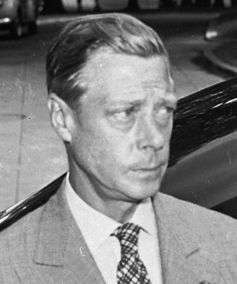 The Soviet intelligence services were convinced of the Duke of Windsor’s treachery when war broke out. It is probable that they had an informer on his staff. 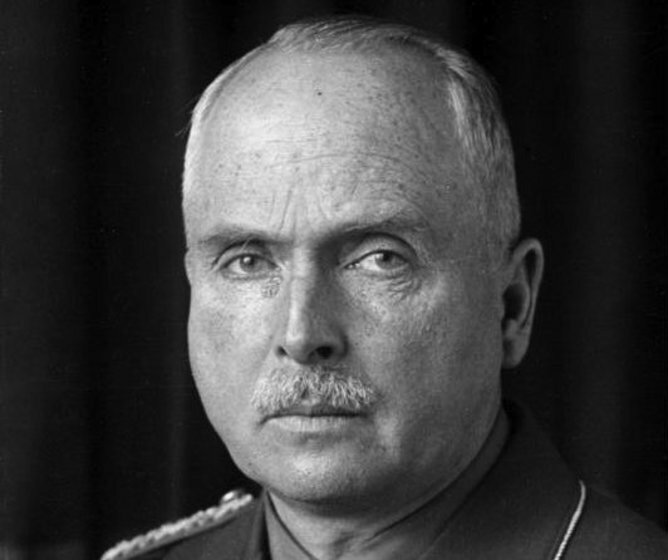 In 1940 they reported that he was conducting negotiations with Hitler to form a new English government and conclude a peace with Germany contingent on a military alliance against the USSR. Even more evidence of Windsor’s treachery was hidden in Spanish archives. Like his relative Coburg, the Duke of Windsor was anti-Semitic. In June 1940 Don Javier Bermejillo, a Spanish diplomat and old friend of Windsor – he had known him since the 1920s – reported a conversation he had had with the Duke to his superiors. Bermejillo reported that the Duke of Windsor blamed “the Jews, the Reds and the Foreign Office for the war”. Windsor added that he would like to put Anthony Eden and other British politicians “up against a wall”. Bermejillo stated that Windsor had already made similar remarks about the Reds and the Jews to him long before he became King in 1936. In another conversation on June 25 1940 Bermejillo reported that Windsor stressed if one bombed England effectively this could bring peace. Bermejillo concluded that the Duke of Windsor seemed very much to hope that this would occur: “He wants peace at any price.” This report went to Franco and was then passed on to the Germans. The bombing of Britain started on 10 July. After the war Coburg and the Duke of Windsor never met again. Windsor continued his jet-set life, and Coburg died in Germany in 1954. He never found out that his beloved Führer wanted him murdered. In April 1945 code breakers at Bletchley Park came across a telegram from Hitler, saying: “The Führer attaches importance to the Duke of Coburg, on no account falling into enemy hands.” This was one of Hitler’s famous “Nero orders”, an indirect sentence of death. The secrets Hitler and Coburg shared seemed to be so important that they needed to be hidden from public view. More transparency at the Royal Archives is needed so that historical investigations such as this can be conducted fully, not shrouded in secrecy.